PORTOROZ, Slovenia, October 31, 2016 (ENS) – Member governments of the International Whaling Commission have again rejected a proposal for a South Atlantic Whale Sanctuary and failed to stop the killing of hundreds of whales by Japan under a self-issued permit. Held on the occasion of the IWC’s 70th anniversary, the meeting was held from October 24-28 in Portorož, a town on Slovenia’s Adriatic coast. About 400 participants, representing member and nonmember governments, academia, intergovernmental and nongovernmental organizations, indigenous groups and the media, attended the biennial meeting. IWC-66 addressed a proposal for a South Atlantic Whale Sanctuary; aboriginal subsistence whaling; socioeconomic implications and small-type whaling; cetacean status and health; unintended anthropogenic impacts; whale killing methods and welfare issues; the Commission budget for 2017-2018; and the shape of the IWC into the future. Several resolutions were also considered on: enhancing the effectiveness of the IWC; improving the review process for whaling under special permit; cetaceans and ecosystem functioning; the creation of a fund to strengthen the capacity of governments of limited means to participate in the work of the IWC; food security; and the Critically Endangered vaquita. All these resolutions, except the one on food security, were adopted; the proposal on the South Atlantic Whale Sanctuary, SAWS, was rejected. Brazil’s Environment Minister Sarney Filho, speaking for the sanctuary proposal’s co-sponsors: Brazil, Gabon, South Africa, Argentina and Uruguay, called the SAWS initiative “a mature proposal,” which has been revised and refined over many years. Filho dismissed concerns about food security impacts, saying the sanctuary would benefit coastal states. He emphasized broad support, including more than one million signatures from civil society. Noting the IWC’s 70th anniversary and 15 years that have passed since the South Atlantic Whale Sanctuary was first proposed, Filho said it was “high time” for the IWC to take this crucial step. India, Mexico, Monaco, the United States, Chile, Australia, and the Netherlands, on behalf of the European Union, supported the sanctuary proposal. South Africa stressed the positive economic benefits a sanctuary would bring, such as poverty relief for communities where new whale watching opportunities could help replace lost mining jobs, and spoke of the need to protect whales on the high seas. Gabon dismissed as myth the idea that whales are “eating all the fish,” noting that the whales feed in higher latitudes, and pointing to overfishing, especially illegal, unreported and unregulated fishing, as the reason for fish declines. He praised the fruitful collaboration between South America and Africa on the sanctuary proposal. Opposed were: Japan, Antigua and Barbuda, Guinea, Iceland, Norway, Russia, and South Korea. Japan and South Korea repeated their position that sustainable use of marine living resources is consistent with environmental protection. Japan said that since the sanctuary is based on the idea of total protection of whales, his country is not able to support the proposal, suggesting instead regional cooperation under a memo of understanding. Russia distinguished between establishing global sanctuaries and establishing local ones in hotspots, explaining that his country does not support global sanctuaries. Antigua and Barbuda remarked that neither proponents nor opponents of the sanctuary have presented any scientific evidence in support of their positions, and suggested asking the Scientific Committee for a comprehensive review of whether or not sanctuaries are a useful management tool. Guinea said the sanctuary is not needed, as the moratorium already provides for complete protection. The World Cetacean Alliance emphasized whale watching job creation and income potential, citing southern right whale-related tourism in Patagonia. The International Union for Conservation of Nature, IUCN, said a motion at the recent 2016 World Conservation Congress in support of the SAWS received support from 95 percent of governments and 98 percent of NGOs in attendance. Finally, in an IWC vote requiring a three-fourths majority to pass, the sanctuary proposal was rejected with 38 members voting in favor, but 24 opposing and two abstentions. A resolution on food security was deferred for intersessional discussions, with the intention of bringing a new resolution to the next meeting of the IWC in 2018. Despite differing views on the IWC’s jurisdiction regarding small cetaceans such as dolphins and porpoises, consensus was not blocked on a Resolution on the Critically Endangered vaquita. The vaquita is a small porpoise that lives only in the Gulf of California. Now numbering fewer than 59 animals, the vaquita faces imminent extinction unless more is done to protect it from bycatch in illegal gillnets. The resolution calls on governments to act now to protect the vaquita. The United States introduced its draft resolution on the vaquita, asking for urgent action to prevent the second cetacean extinction within a decade. He explained that the use of gillnets for the illegal international trade of totoaba swim bladders has added to the decline of the vaquita population, which now numbers fewer than 59 individuals. Argentina, supported by Austria, the Dominican Republic, Chile, Brazil, Switzerland, Costa Rica and Colombia, said the IWC would lose credibility if it allows the vaquita to become extinct as the baiji dolphin already has. The IUCN stated that the vaquita can only survive if the totoaba bladder trade is curbed. The Environmental Investigation Agency urged Mexico to ban all use of gillnets in the area. In its final resolution the IWC expresses deep concern that the vaquita numbers less than 59 animals and is facing imminent extinction, and affirms that only a permanent, complete, and effective gillnet ban in all fisheries operating in the Upper Gulf of California will prevent its extinction. The resolution commends the Mexican government for the Strategy on the Comprehensive Care of the Upper Gulf of California that includes an interagency enforcement program, a two-year gillnet ban from May 2015, compensation for fishermen and fish industry workers and the development of alternative fishing gear. It commends Mexico for the announcement of a permanent ban on gillnets in the Upper Gulf of California gillnet exclusion zone from April 2017 and the program to remove derelict fishing gear in the Upper Gulf of California, among other measures. Overexploitation by the whaling industry from the mid-1500s led to steep declines in many of the world’s populations of whales, although no species was brought to extinction and many, although not all, whale species are now in the process of recovering, according to the IWC. In 1982 the IWC decided that there should be a pause in commercial whaling on all whale species and populations from the 1985/1986 season onwards. 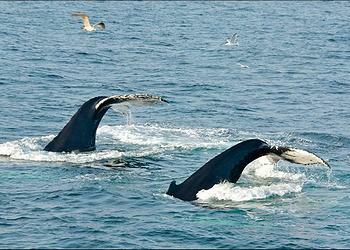 This commercial whaling moratorium remains in place today. Norway and Iceland do take whales commercially, either under objection to the moratorium decision, or under reservation to it. 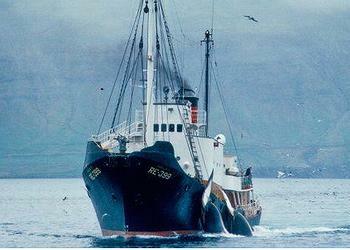 At the IWC meeting, opposition was expressed to the commercial whaling conducted by Iceland and Norway. These countries establish their own catch limits but must provide information on their catches and associated scientific data to the commission. Russia has also registered an objection to the moratorium decision but does not exercise it. The moratorium is binding on all other IWC member governments. Governments on all sides of the “scientific whaling” debate highlighted the positive and constructive spirit of negotiations on a Resolution on Improving the Review Process for Whaling under Special Permit. Japan issues a special permit to itself to kill hundreds of whales each year in the Southern Ocean and the North Pacific. Although the IWC does not regulate special permit whaling, it requires that any country undertaking special permit whaling should report to the IWC each time a permit is issued. Scientific information produced by the special permit whaling must be presented, at least annually, to the Commission’s Scientific Committee, which reports to the IWC. At the meeting in Slovenia, complex discussions included debate on whether lethal sampling is required to achieve the objectives of previous and current special permit whaling programs. In view of protesters who each year attempt to save these whales by interfering with the Japanese whaling vessels, safety at sea was also discussed. The Commission reiterated that international and domestic maritime law should be respected by all parties, and no activities should be undertaken that pose a risk to human life or the marine environment. But agreement could not be reached to halt so-called “scientific whaling” as governments lined up in their usual positions, hardened in years of talks. Still, governments agreed to establish a new Working Group within the IWC to consider Scientific Committee reports and recommendations on this issue.